Christ Community Chapel is located in Hudson, Ohio. With campuses in Hudson, Aurora, and Highland Square, Ohio, we exist to see people come to know Jesus, grow in him, and serve him daily. 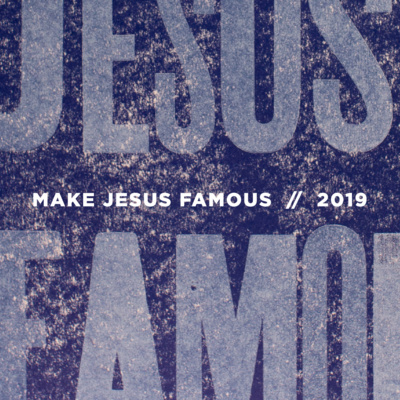 Joe Coffey | Make Jesus Famous is our first series of 2019 and introduces our roles as part of a much bigger story, one that makes Jesus famous. Joe Coffey | This Christmas Eve we hear from Pastor Joe as we’re reminded of the love, grace, and forgiveness of God that can only be found at home with Jesus Christ, the one true King, and Savior. 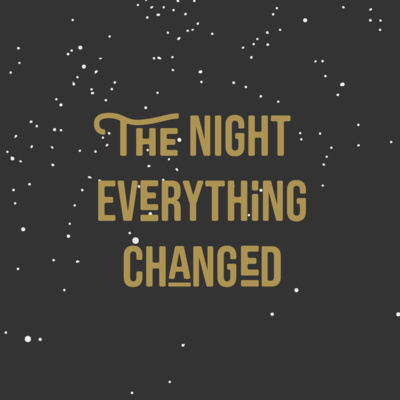 Joe Coffey | This week in our ongoing series called The Night That Everything Changed, we look at how three different groups of people respond to Jesus in the story of the wise men. Everyone has a response to the birth of Jesus in Bethlehem. Does your response match that of a king, that of a chief priest, or that of wise men? Joe Coffey | We're focusing on the birth of Jesus with the last sermon series of the year, The Night Everything Changed. This week, we look at the shepherds who were present the night Jesus was born, Emmanuel. This particular week, we seek a better understanding of the fear that Luke 2:8-14 depicts. As we explore this passage, we look to answer three questions: What brings about fear in the shepherds? What drives fear from them? And how did their fear turn from fear to peace and joy? Joe Coffey | The birth of any baby brings with it a lot of changes for new parents, but the birth of Jesus likely changed a lot for many closest to him. Among other things, the birth of Jesus likely changed the way Mary and Joseph saw God, the way they saw themselves, and the way they understood what it meant to be saved. Joe Coffey | In our short series on what it means to serve Christ, we look to the third pillar of our purpose statement to know Jesus, to grow in your relationship with him, and to serve him. This we open Luke 10 and discuss the power that believers have to serve. Joe Coffey | In our short series on what it means to serve Christ, we look to the third pillar of our purpose statement to know Jesus, to grow in your relationship with him, and to serve him. This week we share incredible stories and turn to Deuteronomy 10 in order to understand the reason that believers serve. Joe Coffey | As we bring to close our series on the book of Ephesians, we look to Ephesians 6:10-20 and the ongoing spiritual battle that we as believers are to be ready for. Jimmy Kozy | This week, hear from Jimmy Kozy, the Student Ministry Pastor of the Hudson Campus. On this special Student Ministries weekend, we celebrate how our student ministries live out their mission to lead students to meet Jesus and take steps toward Christ. Also, we turn to Ephesians 6:1-9 to be reminded how we are to manage the power that we have as believers, no matter what role we're in. Joe Coffey | This week in our study on the book of Ephesians, we turn to Chapter 5, which follows Paul's encouragement to live according to the example that Christ left for us. In verses 18-33, Paul asks the recipients of his letter to walk in love before specifically addressing how marriage between two believers ought to look in light of the Gospel. Todd Iannetta | As we continue taking strides together through the book of Ephesians, we look to Chapter 5 to and discuss what it means to walk in newness as a follower of Jesus Christ. 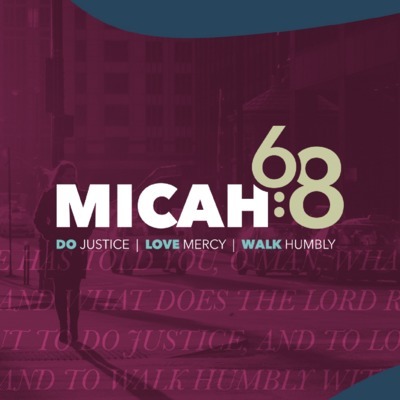 Mike Holwerda | TAs we continue taking strides together through the book of Ephesians, we look to Chapter 5 to and discuss what it means to walk in newness as a follower of Jesus Christ. Joe Coffey | Our walk together through the book of Ephesians continues as we look at the second half of Chapter 4. Here we begin to answer the question, “How does someone really change?” We learn that Paul believes it starts with the mind, then the heart, and that ultimately changes everything else about the way you live. Joe Coffey | This week in our ten-week walk together through the book of Ephesians, we pause in Ephesians 4:1-6 to learn how grace revives individuals who believes in Jesus, and in turn the community around them. Joe Coffey | We continue our series through the book of Ephesians this week, looking to the third chapter of Ephesians to define the new purpose believers have in Christ. Apostle Paul reminds us that we can trust God now and always, with the purpose of transformative power starting in us and changing the world around us. Sean Mabee | Our ten-week series through Ephesians continues this week as we look to the tail-end of Chapter 2, verses 11-22. 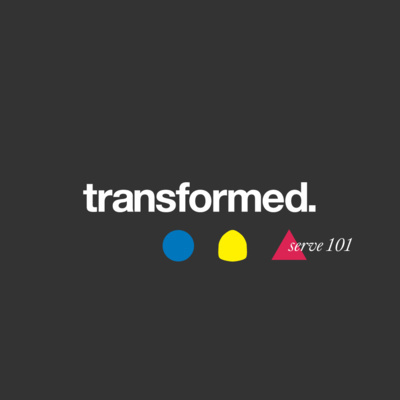 This particular week we discuss how being transformed unites and builds together God’s children as one new family in Christ. Jimmy Kozy | This week, we continue our ten-week series through the book of Ephesians. We move on to Chapter 2 of Ephesians and look to verses 1-10 as we reflect on how all of his children have individually been created and designed to do great things, which God prepared for us before we were even born. Do you know what good works you were made for? Todd Iannetta | This week, we continue our ten-week series through the book of Ephesians. We move on to Chapter 2 of Ephesians and look to verses 1-10 as we reflect on how all of his children have individually been created and designed to do great things, which God prepared for us before we were even born. Do you know what good works you were made for? Joe Coffey | This week, we continue our ten-week study through the book of Ephesians as learn about the new hope we have in Christ. We look to a prayer of Paul's in the second half of Ephesians 1 and reflect on what it means to share in the power and inheritance gifted to God's people. Joe Coffey | This week we kick off our new series on the book of Ephesians by exploring our new status as believers, having been saved by the work of Christ for a specific purpose. Stand Alone - What Do You Treasure? Our friend Tom Randall reminds us to keep our perspective attuned to the works of God, in hopes that we might catch even the unseen ways that he protects his children. What do you treasure? We can say with confidence that our father in heaven treasures us. Joe Coffey | This week, we conclude our series on growing in Christ as we explore our own brokenness and hear a different way to heal. Pastor Joe surveys stories of Jesus, the Great Physician, to show that spiritual healing is available in Christ if we readily and regularly look for it. Caleb Eernisse | We exist to see people come to know Jesus, grow in him, and serve him daily. This week, we continue our discussion on what it means to grow in Jesus and live differently as we survey what Romans 12:1-2 teaches us. Mike Holwerda | We exist to see people come to know Jesus, grow in him, and serve him daily. This week, we continue our discussion on what it means to grow in Jesus and live differently as we survey what Romans 12:1-2 teaches us. Joe Coffey | Why does CCC gather together in worship, love, and service the way that we do? This week, we read through the end of Acts 2 and consider an entirely different way to live together as a church in hopes to be changed ourselves and to change others. Abdu Murray | When you are confronted with the truth, sometimes the truth hurts. This week, we hear Abdu Murray share the story of his faith as it changed from Islam to Christ, from what he understood merely as a set of rules and regulations to a relationship with Jesus Christ. 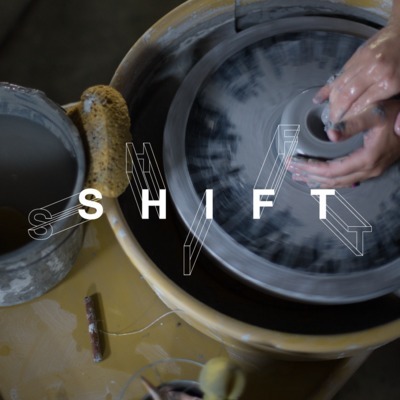 Joe Coffey | This week, we look at the source of the power that transforms us, the Holy Spirit, as well as how it is that God uses the Holy Spirit to change us. We see that the Holy Spirit renews us from the inside out, empowering us to live for Christ. Joe Coffey | Beauty draws us in, attracting us and affecting us in powerful ways. It can focus our attention, refresh us and make intimidating change feel worth it… empowering us to be transformed. To be what God wants us to be, we must first see and respond to his beauty and the beauty of all he has created. Once we realize that he is our reward, then we can meaningfully shift to become more like him. Joe Coffey | Suffering is one of the best and most terrible gifts God gives us. No one wants to experience suffering, yet when we do, we often find that God uses it to show what we truly believe and truly love. Suffering can make us angry or confused, but it can also make us better friends, neighbors, mentors and humans. Most importantly, it shows us the nature of our hearts, others’ hearts and God’s heart with a clarity we can scarcely experience otherwise. Todd Iannetta | As we continue our focus on how God shapes our lives through impactful interactions and subtle shifts, we’re looking at the importance of mentorships. Without mentors, we wouldn’t know how to do anything… Learning from others is an essential part of human development, and mentorship has been crucial to the spreading of the Christian faith since Jesus first taught his disciples more than 2,000 years ago. If the church is to continue flourishing, it’s important that we embrace and encourage spiritual mentorship today. Joe Coffey | From the very earliest days of the church, fellowship with cherished friends has been an important part of the Christian experience. God never meant for man to be alone, and we find that strong relationships with other followers of Jesus are just as important today as they were 2,000 years ago. This week, hear Pastor Joe explain why it is we need friends to grow in our faith, what sort of friends we need and when we need these people most as we focus on the people and circumstances God uses to shape us in. Jimmy Kozy | Men are called in the Bible to be leaders within their households and beyond, but what does that look like today? As we continue our series called “Man Month” at CCC, this week we discuss what it means to live like a man of purity in our pursuit of God. Mike Holwerda | Men are called in the Bible to be leaders within their households and beyond, but what does that look like today? As we continue our series called “Man Month” at CCC, this week we discuss what it means to live like a man of purity in our pursuit of God. Jim Colledge | This week, we continue “Man Month” at CCC as we discuss a man and his legacy. We all have a legacy, whether good or not so good, and Pastor Jim Colledge takes us to Nehemiah 5:17-19 and 13:14-31 to reflect on how it is that we will be remembered by others. Learn how one’s goodness, godliness, integrity and servitude influence a man’s legacy. Joe Coffey | This week, we look at what it means to be courageous as a man of God, persevering through suffering and finding ways to become more like Jesus in the process. Courage is the motivation to do something challenging because you have a commitment to someone or something that supersedes your desire for comfort, pleasure and happiness. You can’t always choose your times to be courageous, but through discipline and an understanding that God only brings into your life what is necessary for you to flourish, you can be ready to take courageous steps when the moment arrives. 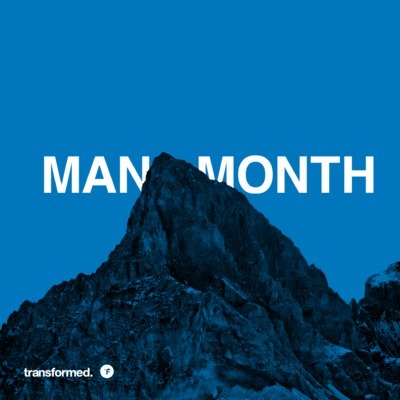 Caleb Eernisse | This week, we kick off “Man Month” at CCC by talking about what it looks like to be a “man after God’s own heart,” much like King David was. Whether you’re “feasting on the Word of God” by reading, studying and acting upon Biblical truth, repenting wholeheartedly when you sin or worshiping God and ascribing all glory to him, hear what it takes to live as a man of God in today’s broken world. Todd Iannetta | The Bible is a book that has the ability to reshape lives. In a “post-truth” society, it is as important as ever that we recognize God’s word as authoritative in our lives. The Bible won’t change us if we compromise on what it says, nor if we don’t recognize and accept God’s grace through Jesus’ death on the cross. After all, we are designed to live the fullest lives while living within the parameters of God’s plan, and the Bible is our best means of understanding and walking in his ways. Mike Holwerda | The Bible is a book that has the ability to reshape lives. In a “post-truth” society, it is as important as ever that we recognize God’s word as authoritative in our lives. The Bible won’t change us if we compromise on what it says, nor if we don’t recognize and accept God’s grace through Jesus’ death on the cross. After all, we are designed to live the fullest lives while living within the parameters of God’s plan, and the Bible is our best means of understanding and walking in his ways. Joe Coffey | We often think of worshiping as a choice, but in reality, everyone worships something. We all have a desire for something greater than ourselves, and that’s why we become fans of sports teams, musicians, actors and other entities to the extent that they become part of our identities. The object of our worship changes, but we all worship in one way or another. This week, Pastor Joe Coffey explains what worship is, how worship works and what worship does as we consider how worship plays a vital role in our transformation into more loving, serving, giving followers of Christ. 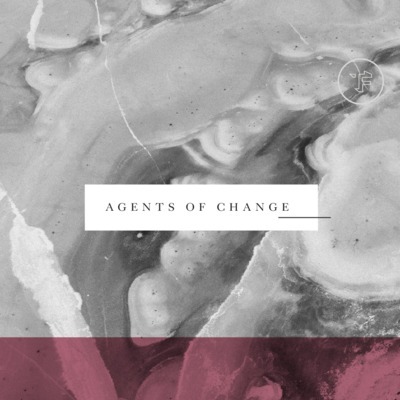 Joe Coffey | This week, Pastor Joe kicks off a new series called “Agents of Change,” focusing on the nature of prayer and its ability to impact our lives. While the power of prayer can be hard to measure, the Bible makes it clear that prayer is an important part of our relationship with God. 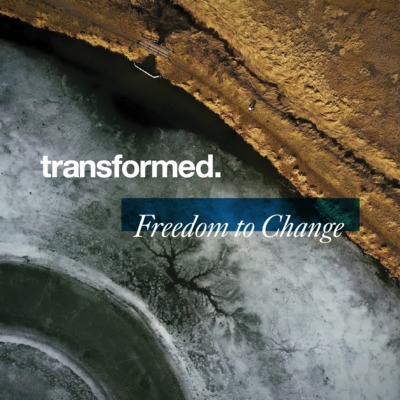 Hear some common mistakes people make about prayer, the importance of pairing prayer with action and how CCC is tapping into both with a group called Transform Summit to make a difference in our region. Tom Randall | In Philemon 1:7, we hear Paul say to his friend Philemon, “Your love has given me great joy and encouragement, because you, brother, have refreshed the hearts of the Lord’s people.” As missionary and chaplain Tom Randall explains today through a series of personal stories, whether it’s showing kindness to a non-believer or being encouraged by a close friend, refreshment is a powerful part of the Christian journey that we shouldn’t overlook. Joe Coffey | In Mark 10:23, we hear Jesus say, “How hard it is for the rich to enter the kingdom of God!” It is a verse that can make us uncomfortable, as most of us have more than we need yet don’t like parting with our riches. While money can be a powerful barrier to walking with God, it can also be a powerful tool for creating joy and showing obedience to the Lord. This week, we hear the story of two rich men in the Bible who encountered Jesus and responded quite differently with their money… What can we learn about a right relationship with money from these two examples? Joe Coffey | This week, we look at the story of Thomas, the disciple of Jesus infamous for his doubt. While he may have been among the first Christians to express doubt in Jesus, he was far from the last. There is a type of healthy doubt that helps to refine and mature our faith, especially for those who have been raised in Christianity. However, doubt can also come in the form of a crisis of faith: the result of a misalignment of life choices and beliefs or a disappointment in God. These crises may not be experienced by everyone, but they can be truly challenging to endure. The good news is that as much as sin can push us further into doubt, obedience to God can draw us deeper into faith—much like Thomas experienced the gap of disappointment, felt Jesus’ scars and was brought back to abide in Jesus’ love. Sam Allberry | In John 4, we read the story of Jesus’ encounter with an outcast woman drawing water from a well. It would have been a scandalous story during those days, as men were not supposed to speak to women they didn’t know—especially not with Samaritans, whom the Jews looked down upon. Yet we see no hesitation in Jesus, who sees beyond the cultural barriers to perceive a person with a deep need to be known and loved… Just like all of us. This week, guest speaker Sam Allberry from Ravi Zacharias International Ministries explains how, like the Samaritan woman, we don’t truly know ourselves until we meet Jesus, and we can’t quench our thirst to be truly loved without him, “the living water.” It may seem like we can’t be fully known and fully loved at the same time, but with Jesus, it’s possible. Joe Coffey | If the story of Jesus’ death on the cross is true, it means God knows you and loves you completely, which can change who you are. 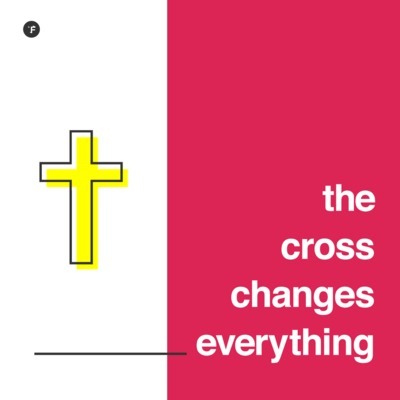 This Easter, Pastor Joe explains that in dying on the cross for our sins, Jesus offers us something for our heart, something for our head and something to change our lives. We can rest assured that we were most loved while we were at our worst, that the resurrection truly happened and that the good news of salvation is the catalyst needed to change the world. Joe Coffey | “Home” has an important meaning to most of us. We’ve heard quotes like “home is where the heart is,” “there’s no place like home” and so on all the time in our culture… And for good reason: home, after all, should be a safe place where we feel that we belong, and it’s somewhere we often long to be. Physical homes aren’t the only ones that matter though. We also have an eternal spiritual home in heaven because Jesus was willing to give up his position in a place where he belonged to make a way home for us through his death on the cross. Everything he gave up, we gained, and now we can look forward to sharing in his inheritance in the future. Joe Coffey | In many ways, Jesus’ death on the cross gave us freedom. We became free from the law of sin and death, allowing us to flourish as we recognize we are justified through Jesus and nothing else. This week, Pastor Joe explains that, thanks to the cross, the structure is now in place for you to be you… But in the eyes of God, your worth doesn’t depend on your identity – it was all determined by what happened on the cross. Jimmy Kozy | The concept of suffering is central to the Christian faith. Our most important symbol, the cross, is a symbol of suffering, shame and death, after all. While this may not sound too encouraging on the surface, when you understand who Jesus was and what he did for us, “suffering” ends up sounding less like a dirty word and more like an amazing gift. Today we hear how Jesus’ suffering in the past impacts our suffering today and what it ultimately means for suffering (or the lack thereof) in the future. Todd Iannetta | The concept of suffering is central to the Christian faith. Our most important symbol, the cross, is a symbol of suffering, shame, and death, after all. While this may not sound too encouraging on the surface, when you understand who Jesus was and what he did for us, “suffering” ends up sounding less like a dirty word and more like an amazing gift. Today we hear how Jesus’ suffering in the past impacts our suffering today and what it ultimately means for suffering (or the lack thereof) in the future. Joe Coffey | Every human soul is afflicted with two deadly diseases: guilt and shame. As sinful people, we can’t break free of the cycle of guilt and shame on our own… But while trespasses can’t be healed, they can be paid for. By suffering on the cross for us, Jesus experienced shame and punishment on our behalf, becoming the eternal sacrifice that bought our forgiveness. Now it’s up to us to relish that forgiveness and willingly forgive those around us. Joe Coffey | In 3 John 1:4, the disciple John says that there is no greater joy than to hear his children are walking in the truth… We agree. When the next generation is raised up in the ways of the Lord, it’s good for them, it’s good for us and it’s good for the world. Join us this week as we celebrate our children’s ministry and take the opportunity to give to some children-focused ministries: the Coalition of Children in Need Association (COCINA) in Haiti, Action for Empowerment (AOET) in Uganda, and CCC’s own foster care and adoption ministry. Joe Coffey | Jesus lit the fuse of a movement that upended the ancient world and continues to rock our world to this day. The process that transformed his followers who in turn transformed the world is the same process today: it takes place on the inside of a person and expresses itself on the outside. Join us as we take a look at those steps of inward transformation and the use of baptism as an expression of that change. Mike Holwerda | We all have a natural desire to belong, and when we choose to follow Jesus and become a Christian, we find that we suddenly belong to the worldwide family of his followers known as “the church.” As members of the church, we are told in I Corinthians 12:12-26 that we are part of a global “body of Christ” and that we all have important roles to play in that body. We may all be different and it may be difficult to always feel as though we belong, but if we know that we are one, trust that we are one and act as though we are one, we can begin to work with the rest of the body of Christ to be transformed and transform the world. Caleb Eernisse | We all have a natural desire to belong, and when we choose to follow Jesus and become a Christian, we find that we suddenly belong to the worldwide family of his followers known as “the church.” As members of the church, we are told in I Corinthians 12:12-26 that we are part of a global “body of Christ” and that we all have important roles to play in that body. We may all be different and it may be difficult to always feel as though we belong, but if we know that we are one, trust that we are one and act as though we are one, we can begin to work with the rest of the body of Christ to be transformed and transform the world. Todd Iannetta | The first step toward being transformed and achieving great things through Christ is believing. It may sound basic, but it can often feel like taking a huge jump. We may know that there is great joy and freedom through faith in God, but it doesn’t make taking that jump easy. Choosing to trust in God requires admitting we are broken without him, stuck in our sin and needing a savior. We may feel too unworthy, too vulnerable to judgment or that we’re giving up too much by believing in the saving power of Christ. But when we do take that “leap of faith” – when we join that body of other broken believers in the arms of God for all eternity – we realize it was well worth it. 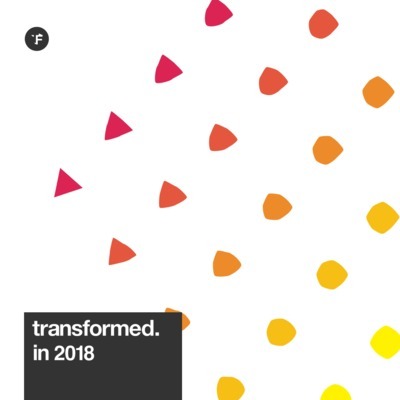 Joe Coffey | This January, we’re focusing as a church on three bold claims of Christianity: you can know God, God can change you and God can use you to change the world. This week, we investigate the third claim, recognizing that Christianity has changed the world so deeply that it’s almost impossible to imagine a world that was never impacted by Jesus and his followers. This drastic ability to influence dates back to Jesus’ disciples – a group of ordinary, uneducated men who quickly transformed the known world by living as Jesus taught them. And that ability still resides with Christians today who can tap into a different identity (Jesus), a different purpose (serving others), and a different power (love and fearlessness through the Holy Spirit) to positively impact the world together. Joe Coffey | As we focus this year on knowing God, being changed by him and then being used to change the world, one of the first things we must realize is that we need to change. On the surface, that isn’t exactly hard… Many of us made New Year’s resolutions not long ago precisely because we want to change. We need to realize, however, that we don’t only need to change our eating and exercise habits, but our very spiritual identities. This week, Pastor Joe explains what that looks like—how we need to change and how Jesus allows it to happen. Because as Christians, it’s not about trying to change the thousand things that are wrong with us… It’s about making one change in our lives by deciding to follow and trust in Jesus as our savior. Joe Coffey | In Ephesians 2:1-10, we read that we were dead in our trespasses and sins, but because of God’s great love and grace, we have been saved. Because we are naturally spiritually dead, we have little desire to put God at the center of our lives. While we could act like the moon—a cold, dead rock that still reflects the brilliant light of the sun to illuminate the world—we choose not to do so. We could put God at the center of our lives and choose to orbit him, reflecting his grace and radiance to the world, but we want to be the sun, not the moon in our lives. We want God to orbit around us. Joe Coffey | Each January, we set a theme for the year as a church, focusing either on “breathing out” to forward God’s kingdom in the world, or “breathing in” to grow closer to God. This year, we’ll be doing the latter, as we all take the challenge to be transformed in 2018. The message of the Gospel is one of transformation, telling us we can know God personally, change radically and be used by God to change the world as a result. As Pastor Joe explains today, in 2018, we will focus on how we have been (and will be) transformed not by our own doing, but by the grace and guidance of God.